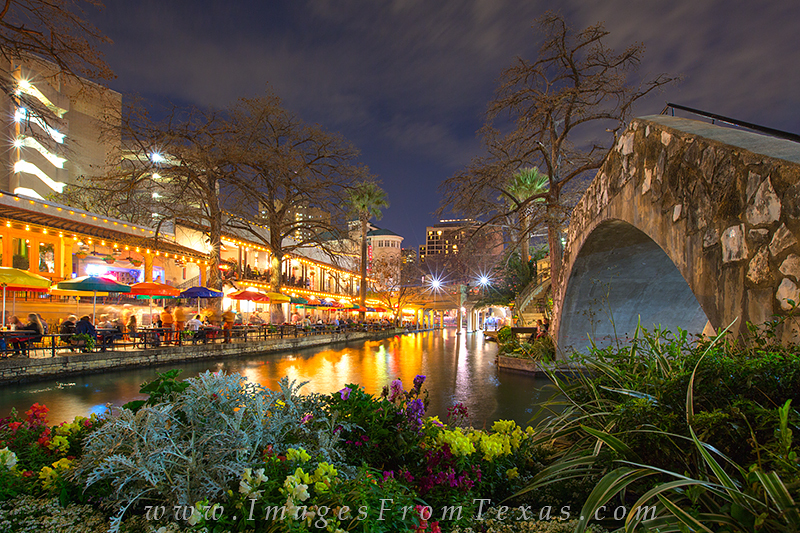 The San Antonio Riverwalk is the place to be on a springtime Saturday evening. As I set up to take this image of flowers with the San Antonio River flowing by, I was amazed at how many folks were enjoying this evening near the downtown area. This location is near the famous Tex-Mex joint, Casa Rio, home of the quite colorful umbrellas. Photo © copyright by Rob Greebon.